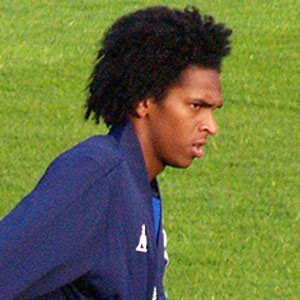 Striker born Joao Alves de Assis Silva who joined Atletico Mineiro in 2012 after previously playing for such clubs as Internacional, Manchester City, and CSKA Moscow. He became a member of the Brazilian national team in 2007. He debuted professionally for Corinthians in 2003 after spending three years in the club's youth system. He helped CSKA Moscow win the Russian Premier League in 2006 as well as the Russian Cup in 2006 and 2008. He married Claudia Santos and has a sister named Joan. He joined defender Dani Alves on the Brazilian national team.